The church of St. Matthew, Twigworth, was consecrated in 1844 and lies on the main road to Tewkesbury between Twigworth and Longford and is the resting place of the war poet and musician, Ivor Gurney. Twigworth is rural in character whilst Longford is now effectively a suburb of Gloucester. 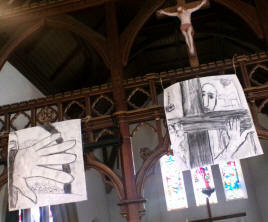 The Longford portion of the parish represents the greatest potential for spiritual growth. With a growing population and a house building programme in progress, it is the largest community in the benefice. There are major repairs required to the building although some work has already been done to the roof, stained glass and some internal decoration. 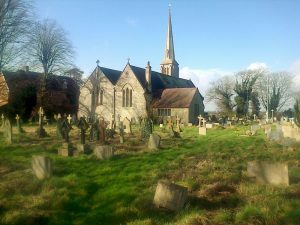 The award winning churchyard is well maintained with a garden of remembrance and some travellers’ memorials. 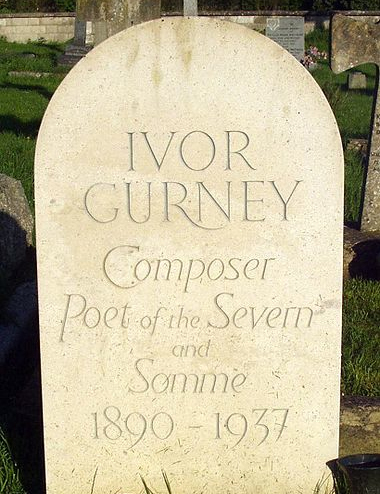 The renowned war poet Ivor Bertie Gurney (1890 – 1937) is buried in the churchyard.